Skeptics are those who advocate taking a provisional approach to all claims and carefully evaluating all the evidence before coming to a conclusion. 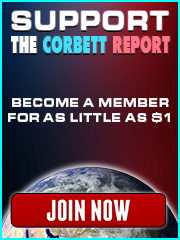 In other words, the very process that The Corbett Report is engaged in every week, right? Well, not according to the self-professed “skeptics,” many of whom are content to skewer others for their logical fallacies yet frequently deploy logical fallacies of their own when “debunking” the “conspiracy theorists” that seem to be popping up everywhere. Join us today on The Corbett Report as we note the hypocrisies of the supposed “skeptics” and embrace the term as our own. Thank you for this “older” Podcast. It is like good music. You want to hear it again because it so deep and inspiring and – as allways – well made that it never gets old. It is revealing how much incriminating footage has been 1984’d since 2012. Great clip of John Stossel propagating the classic CIA psychological warfare argument which they directed their “propaganda assets” to use in Document 1035-960, from back in 1967, to smear critics of the Warren Commission. Pompous self-congratulatory hypocrisy IS self-parodying indeed Mr Corbett! Well said. But, it’s embarassing to sit through. John Stossel is either a very bad liar or seriously suffering from cognitive dissonance. When he croaks his final “(It may feel better) but it’s not true” he doesn’t at all seem to believe what he’s half-whispering. It’s as if he can barely make himself say it because he knows deep down It IS True. Even Shermer is a squirmer: his attack on the “conspiracy theorist plant” is so awkward you want to give Chomsky an oscar. 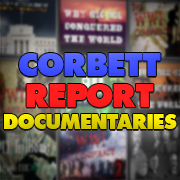 I’d missed this Corbett report. I’m glad I’ve caught up now. Yes I wonder which prestigious Tavistock outlet trains the Gatekeepers? Stanford? Berkeley? UPenn? Harvard? MIT? Or is money the best teacher? “The open minded skeptic is free to explore anything, anywhere, with demanding standards for converting experience into knowledge (truth). The closed minded skeptic is trapped by the limits he places on his thoughts and abilities. He is caught in the following dilemma. Fearful of exceeding the safe and acceptable limits of cherished religious, personal, cultural, or scientific dogma, he believes it is fundamentally impossible to find truth in a wild and crazy subjective world which is obviously populated by plenty of fools and liars. Religious creed (his in particular) and scientific objectivity (his in particular) appear to provide safe havens free from the ubiquitous fools and liars who would gladly induce everyone else to join their delusional and manipulative ranks. At a Richard Gage presentation I attended, someone asked if he had been threatened. He said he was almost disappointed to report that he had not. The people listed above have alerted me to information that is generally unavailable in the mainstream. If the powerful psychopaths that run the world didn’t want this information to be distributed, how difficult would it be to silence a few dozen people with big mouths? They are capable of demolishing buildings, blowing the heads off of Presidents, creating the Climate Crisis b.s. and controlling the media to lie about the whole affair. WHY are the alternative voices allowed to sweep the snow off the tracks to the rabbit hole? I’m intrigued by the paradox that must be faced by those who earn their living by distributing sensitive information that makes claims about people who prevent the distribution of sensitive information. Personally, I want to see the total and entire collapse of the mainstream media. That said…. Lenin & pals took over from the Czar in 1917….people had had enough of TPTSB. Intoxicating as absolute power is, it didn’t take long for the prodigy of this New and Improved system to advance the abuse of power to a whole new level. Let’s pretend the mainstream media were to die a painful and embarrassing death (schadenfreude). What would become of the prodigy of James Corbett & pals? What steps could be taken to ensure we don’t simply replace one bottleneck with another? Does Stephen Hawking’s recent assertion that The Aliens might be out to get us set a new standard in ‘Conspiracy Theory’? If so, then perhaps he should be cited in any conversation on the subject of conspiracies. Hawking might very well be labelled the first ‘Universal Conspiracy Theorist’. But hey, what does he know? He’s just a scientist. I’m quite sure if The Aliens were out to get us, someone would have talked by now. It staggers me that seemingly rational people are quite willing to accept guff like that, yet scoff at the notion governments have been hijacked by a bunch of crooks whose blatant BS might warrant further investigation. In a sense the closing statements of this episode are the most important for anyone seeking to find the truth about how our world works. Scepticism is the sign of a sharp mind and, like any sharpened object, it needs to be constantly brought back to the grindstone to keep it keen. As a self-confessed “woo woo tin hat wearer”, my biggest problem is that any time I read a statement of fact on a mainstream site and go away to fact check it, the first stone I roll over often covers a pile of BS. They’re often not even very well constructed lies and/or obfuscations. From that point it is incredibly difficult for me to return to the starting point of scepticism and not just exercise confirmation bias. So, Shermer et al have my deepest sympathy, but they need, like all of us, to keep exercising a more scientific enquiry and to keep taking a step back. What would we do without you James. This one is especially timely for me because I found myself debating some so called skeptics over the 9/11 anniversary and was amazed to find how dogmatic they are in their thinking. My experience was that if you ignored their pejorative put downs (anyone who disagrees with their truth is either stupid or insane) and challenged them with facts and logic then they very quickly and childishly retreated behind faux-outrage (offensive to the victims etc)and censorship (wouldn’t allow comments they disagreed with). Hilarious but also very sad. I have a collection of censored comments I’ve made to the mainstream. I copy the link to the story and create a couple of screenshots (command – shift – 4 on the Mac). I’ve been tucking them away… not yet sure what to do with them. I would invite you and others to do the same. I believe there is a wealth of information in disabled content. Can’t see a link. Or, was that the joke? Ha! If only I were that clever. No, I didn’t mean to crack a joke. No…. I save a copy of the links to the MSM stories that have censored me along with screen shots of my disabled content. Another of James’ subscribers suggested starting a website for censored material. I’ve got mine documented and suggested others might do likewise. If you have Guardian comments then do please send them to us at Off-Guardian.org. We have a running series of censored CiF comments. I wanted to draw your attention to the fact that the Joint Investigation Team (JIT) has released their official findings regarding the downing of the MH17-flight. Their findings can be read in English on the website of the Dutch Public Prosecution Service (Openbaar Ministerie or OM if it is abbreviated). Plus, a few days ago the Russians finally provided the raw radar data on the downing of MH17. It is striking that the JIT says in their presentation that they do not need anymore data. James, if you are able to find the time, I really hope you can adress the conclusions of the JIT and the release of the Russian raw data regarding MH17 (in a piece or with a guest). Of course this is only a suggestion on my part, because I know you are quite busy already. However, the reason I think it is very important is because the cover-up regarding the real investigation of downing of MH17 is the 9/11 or the Kennedy assasination of this decade. One of the (many) sad things about this is that people who are genuinely interested in finding the real truth and who are sceptic followers of the MH17-investigation, are now falling for the narrative of the JIT. Thomas Schansman is one of them. He is father of Quinn Schansman who died on the MH17-flight (and who was mentioned by president Obama the day after the crash because he was the only person with an American passport [a dutch citizen who was born in the U.S. and therefore had a dual citizenship]. I do agree, MH17 is very important false flag event. I heard/read (not sure) that on the latest russian radar data no SU-25 are present. Strange. What is even more interesting to me is how Russia haven’t done everything to exculpate themselves. It is reasonable to assume that Russia deployed all its eavesdropping capabilities on the border with Ukraine. And they are very capable on this field. Therefore it is beyond reasonable doubt that they have military radar data and also audio recording of ATC (pilot-control). Rebels(Russia) also find both black boxes. Both were given to Dutch commission? Why didn’t withheld one because it was reasonable to assume that Dutch commission might not be fair? Looks like Putin was/is playing ball in case of new Cold war. I’ve always been of the opinion that the reason the Russians don’t exculpate themselves on this is because they have a different view when it comes to politics. They are well aware of the Aesop’s fable ‘The Boy Who Cried Wolf’. What possible advantage lies in screaming about who stole your cheese slice from the fridge, when much better to stay quiet until you wish to play an ace card, and then everyone listens? Psychology, really. The old Chess game etc.. Imagine if Putin came out tomorrow and said something like “9/11 was a Mossad/CIA operation”. Can you imagine the impact? Of course, this is unlikely, but you get the drift. Well, but don’t you think that MH17 was perfect moment for playing an ace? Quite a lot was at stake for Russia at that time. With black boxes in possession Russia would get Nato for balls. According to first Russian radar data MH17 wasn’t destroyed instantly. Imagine publishing last moments conversation in pilots cabin. It’s not just MH17 when Russian behavior could look like “self-defeating”. Next example Syria. Most of the time official Russian narrative is that they fight against terrorism. But it was not just once when Putin said that terrorist are in fact mercenaries. Although they know they are fighting proxy army, they rarely present it this way. Somehow they prefer to support bs terrorist narrative. Why? Soros, Clinton, Obama, Black Lives Matter and others being sued by black police officer leading a class action suit for between 1/2 to 1.5 billion dollars. I’ve been debating the bit out about WTC 7 with one of Michael Shermer’s skeptical protogees. He is extremely dismissive anything straying from the offical 9/11 narrative and we had a bit of back and forth about WTC7 specifically because he was demanding an apology from Euro Physics News for their recent article on controlled demolition. Initially the evidence he was able to offer to debunk explosions / support the NIST findings were pretty weak but in fairness to him he did eventually come back with what appears to be fairly detailed list of credible peer reviewed support for the collapse explanation. The author of the reddit piece also claims that in his search for peer reviewed articles that cited to the NIST WTC 7 report, he could not find a single paper that was critical of NIST’s methodologies or conclusions. I appreciate WTC7 is only one aspect of a very unconvincing narrative but I’d be curious if anyone has any thoughts / views on this?? Well, the first thing that comes to mind is the Politics of Scientific Peer Reviewed Publications and some of the work Mr Corbett’s done on “Peer reviewed literature”, be it Judith Curry’s remarks on pressure to publish, climate skeptics difficulty in getting published, on what happens to GMO studies that go against the “harmless” consensus and especially to the scientists who carry them out, ditto vaccines and people who associate them with autism and other maladies. Cheers Dude, appreciate the reply. Yes, I’d be pretty sceptical about how robust ‘peer review’ is, especially when it comes to controversial or potentially career killing issues. I had hung my hat on the fact that NIST wouldn’t release their data and therefore it couldn’t be peer reviewed in the first place so it’s hard to poo poo evidence of a long list of peer reviewed documents now that they’ve established. The fact that they couldn’t recreate the collapse in laboratory settings and swerved any witness / audio evidence of explosions is enough to convince me NIST’s conclusion is highly unlikley (not to mention the video evidence of the actual collapse)but I don’t have the scientific know with all to determibne the validity / quality of the peer reviews presented. The other thing that comes to mind is that “fairness” as employed by you in your comment above is a preoccupation of the scrupulous. “Scrupulous” is an adjective that cannot be applied to those that employ the weapon of sophistry and “dismissiveness” to stifle dissent as Chomsky and Shermer do. Scrupulousness and fairness are virtues but also disadvantages that may have lost mankind. Fair point (no pun intended). I was probably making the mistake that these people are open to logic. They do appear too intelligent not to see the gaps. Thanks dude. Finally, the gatekeepers who decide to devote their energies and talent to deliberately misleading the public may very well believe that they too are attempting to save mankind. Or at least a certain section of it. In light of this addendum I may have to reassess my definition of “scrupulous”. Forgot to mention “reproducibility” for peer reviewed problems. long live renegade toothpaste, the fourth estate and peers taking matters into their own hands! Has NIST released their simulation data yet? If not, none of the peer reviews are valid. You would not even have to read any of the reviews to determine they are all invalid. Dr. Leroy Hulsey presents the preliminary findings of his WTC 7 computer modeling study to the Lawyers’ Committee for 9/11 Inquiry. Dr. Hulsey is a professor at the University of Alaska Fairbanks (UAF) and the chair of UAF’s Department of Civil and Environmental Engineering.